For those starting out full time RV living, there is a very important decision that has to be made. That is choosing a 5th wheel RV or a motorized one! I know this to be true as I observe the amount of traffic to my full time RV living website article that discusses the best 5th wheel for full time RV living. Now that does not mean you can’t full-time in a travel trailer, because we have friends that do, but the majority seem to face the decision of buying either a 5th wheel RV or a motorized one. Pam and I have traveled over one hundred thousand miles in RV’s. 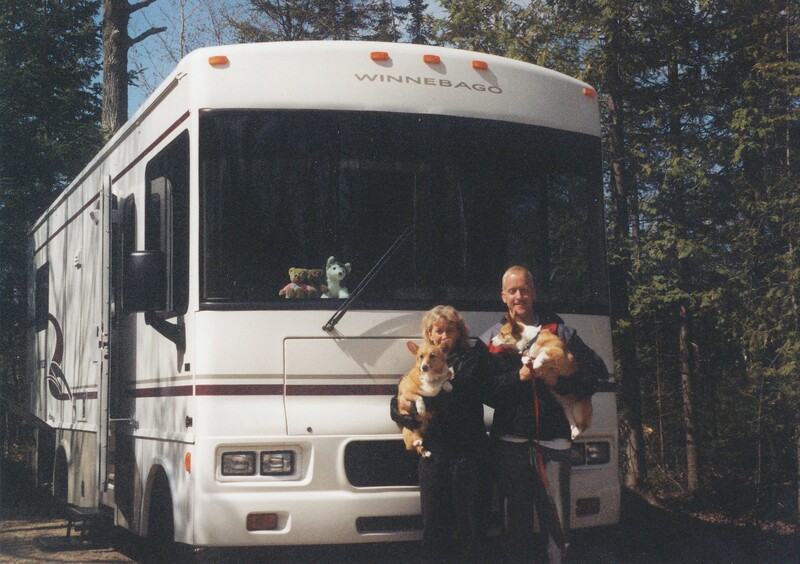 We started renting RV’s in 2001. Once we decided on what we wanted, based on our rental experiences, we purchased our full time RV home in 2008. We have rented class A gas and diesel RV’s, we have rented and owned class A and class C gas RV’s, and we owned a large 5th wheel RV for six and a half years. We logged many miles on that 5th wheel RV. So, I feel comfortable being able to share my opinion with you on the pluses and minuses of both. Now, this is my disclaimer: I realize everyone has their own opinion, wants, and needs. Mine is based on our experiences and our changing needs. Back in 2015, Pam I and were heading to Arkansas for a month’s worth of business meetings, the NRVIA National Conference, and to teach an advanced RV Inspector training class. Pam drove the class C motorized RV for a good portion of that trip. I sat in the co-pilot seat with my laptop and got some work done while Pam kept us moving towards our destination. So, given that fact, here is a major advantage of a motorized RV. While you are traveling, you have instant access to what you need: the refrigerator, the toilet, the TV, all while rolling down the road. Basically, you always have access to anything you need while you are on the move. If you get stopped on the highway for hours due to an emergency you can fire up the generator and be comfortable. You have all the comforts of home without having to get out of the vehicle. We have even switched drivers in heavy traffic so the driver could make a potty stop. We did similar things in our fifth wheel, it was just not as convenient. Since we are on the move all the time, we enjoy the convenience of the motorized RV! It’s easy to park, easy to setup, and easy to move. We had the fifth wheel setup and departure routine pretty well orchestrated, but it was never as easy as it is with our current motorized RV! We had been in about twenty different locations that summer. Comparing that much moving around based on living in our previous 5th wheel and our current motorized RV, we would have to say we find our current RV much more favorable for the full-time RV lifestyle that we are currently enjoying. We have been in situations while traveling in class A and class C RV’s that involved boondocking in Walmart parking lots, Casinos, and Cracker Barrels. After being parked for a few hours, there were times we got concerned about our safety. Because we were able to just turn on the motor and not have to get out of a trailer to get rolling, we were kept safe and able to get away from the danger. Now, motorized RV’s tend to be more expensive relative to a comparable 5th wheel RV! We have good friends who have a Redwood 5th Wheel RV. 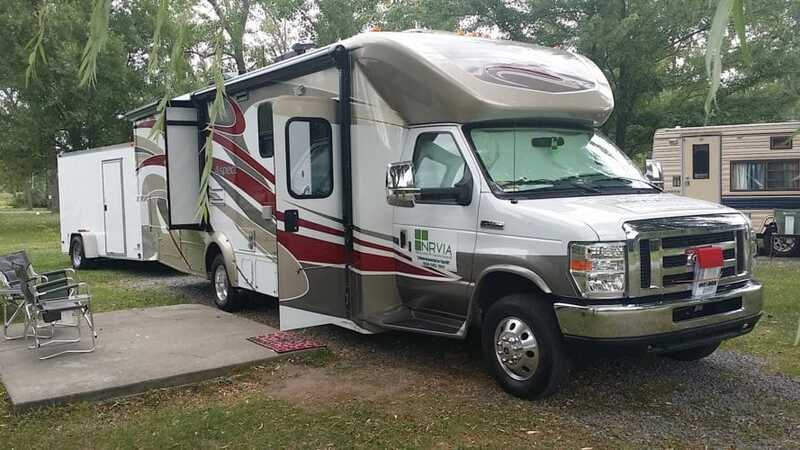 They are beautiful inside and offer many amenities that are only found in motorized RV’s that are in the quarter million dollar range, and up. Also, for folks that plan on having a full time RV lifestyle that does not involve lots of moving around, or only moving a couple of times a year, the 5th wheel RV might fit that need better. They are like living in a small one bedroom condo. Our forty foot 5th Wheel RV was very roomy inside. Our three favorite features of the RV were that it had a spacious kitchen that allowed us to prepare meals as we would in our “sticks and bricks” home. It also had a large shower and an apartment size washer and dryer. When towing a 5th wheel RV I found I always had to plan ahead and be sure my route was able to accommodate the length and height of my RV. It was important to be sure my route did not include bridges with low clearance, narrow roads, and tight areas where I might get into trouble. It’s thirteen and a half foot height had to be considered! I especially had to pay attention to the RV parks that I wanted to stay to be sure I would be able to navigate their premises. Now, I have driven forty-foot class A diesel RV’s that I got in trouble with, but not as much as in my 5th wheel RV! I could always get the class A RV into an RV site, but backing the sixty-foot 5th wheel (truck and trailer) could be a bit more of a challenge. I have observed other 5th wheel RV owners struggle getting settled into their RV sites. We have watched 5th wheel owners damage their new RV’s because they had no idea how to handle the trailering aspect of owning that type of vehicle. This really seems to be the big challenge and difference between a 5th wheel RV and a motorized one. The less you know about trailering and backing a long trailer, the more stress you will have when it comes to moving it from place to place. The wheels of the trailer do not follow the same track as the truck! We always suggest to new RV owners that renting an RV before moving forward and purchasing one is a good idea. That is how we started and we found the experience helped us choose wisely based on our needs at that time. Motorized RV’s are easy to rent. You can also rent towable RV’s. You may have to go to an independent dealership to get set up, but you can rent anything you want to try if you do some research. Your needs and wants in a full-time RV home will be different than ours. The idea here is to investigate different people’s opinions on this subject, rent what you can and weigh that information against how it is that you will use the RV type that you choose. 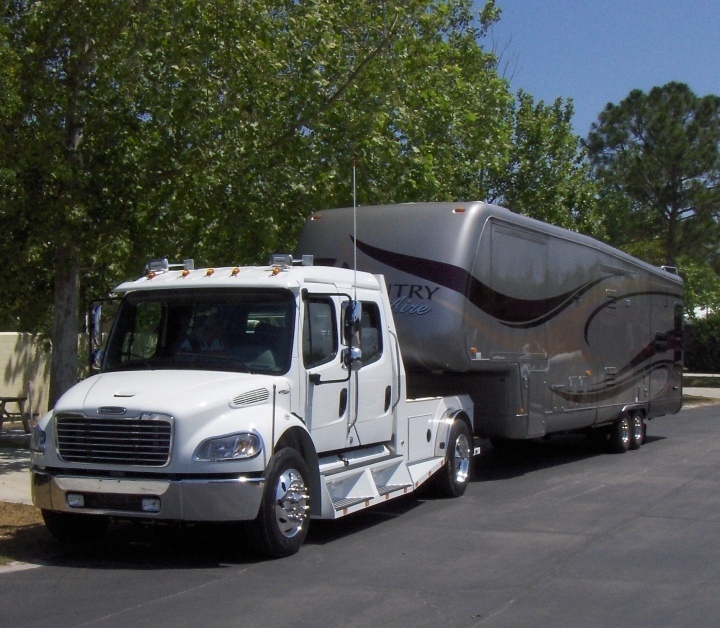 The goal is to purchase your full time RV home and get it right the first time – no regrets! And how do you do that? Keep researching till the time is right and you can make an educated decision on your purchase. If you buy your RV new or used, be sure to hire a third party independent inspector to assist you! Don’t wind up buying a money pit or something that will spend months at the dealership getting warranty issues fixed when you could have known about those issues up front. Pam and I wish you all the best as you work towards becoming full time RVers! Is it possible to safely access some of the camping sites in the BLM and National Forest in the west (Arizona, New Mexico, Montana, Wyoming etc.) for boondocking, dispersed camping with a Class A motor home in the 40 to 45’ length diesel pusher. Assume some sites are a lot more accessible (less distance from main roads with no real barriers to transit) to set up camp and use your 4wheel drive tow vehicle to locate the site first and then travel within the BLM, NF to explore, hike, hunt and fish. If you are planning a lot of boondocking stays in a larger diesel pusher, advanced planning will be required to be sure you won’t damage the RV getting into your chosen location within the types you mentioned. Certainly, tree issues are not as much of a problem out West as they are in other parts of the country. You don’t want to have some low hanging tree branch destroy your RV roof or any of the components on it while trying to navigate into a remote area.